Hip and ridge shingles can be a valuable asset for your rooftop, both functionally and aesthetically. They not only help your roof look better, but they also serve to keep it working at its best by protecting its materials from the elements. By extension, this also means your family can stay dry and comfortable in even the worst weather. Why Choose Hip and Ridge Shingles for Your Commercial or Residential Roofing? These shingles can complete the look you’ve been striving for, whether you’ve had an architectural shingle roof or a strip shingle variety installed. Distinctive ridge caps allow you to accentuate your rooftop’s natural beauty while also providing protection through multiple layers. The hips and ridges tend to undergo the most stress out of all the roof’s components, and the caps help to reinforce these areas. Caps are designed with thickness that far exceeds levels provided with strip shingles. This creates a unique and distinctive look. Timbertex® caps are designed to complement your laminated shingles, regardless of the color required. Each piece is secured with Dura Grip™ Self-seal Adhesive, which ensures tightness in the installation and reduced chances of blow-off. With the StainGuard® Ltd. Warranty, you’ll be protected from the development of blue-green algae on your ridge cap shingles. Why Do Homeowners Need Hip and Ridge Shingles? The hips and ridges are important (and vulnerable) intersections on a roof, which need to be weather-blocked and protected. High-quality hip and ridge shingles serve to keep snow, rain and debris from getting into the corners of roof sections. Some of the components that protect these areas also serve effective ventilation purposes, extending the energy efficiency of a home. Still, the most crucial purpose is the protection of the roof’s materials from the elements. Looking for peace of mind and a solid roof for your home? Let our team at Hopewell Roofing & Restoration show you the benefits of hip & ridge installations from the pros. We can connect you with the impressive lifetime ltd. warranty on installations of Lifetime Shingle rooftops! The TimberTex® distinctive ridge cap shingles we install are an important (and award winning) component of the GAF Lifetime Roof System, and our work crews can get the job done quickly and affordably. Plus, our company is certified as a GAF Master Elite Roofing Contractor, so you can trust your project is in the right hands. 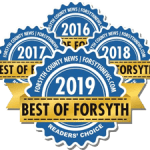 Our team of roofing specialists at Hopewell Roofing & Restoration has a strong reputation in the Atlanta GA area for workmanship of the highest quality, delivered with honesty and integrity for all of our residential and commercial customers. Whether it’s hip and ridge shingless or anything else to make your roof as functional and attractive as it can be, let us help you to get the most out of your rooftop. Connect with our team today to get your free consultation. Insures reliable protection at the highest-stress areas of your roof (the hips and ridges). Designed to complement the color of your roof’s shingles. Dura Grip™ Self-seal Adhesive seals each piece tightly and reduces the risk of shingle blow-off. Machine-cut design delivers a uniform look; much better than using cut-up strip shingles. Up to a Lifetime ltd. warranty when installed on Lifetime Shingle roofs. Pre-scored design eliminates the need for difficult or time-consuming cuts–allowing you to offer greater customer value. Micro Weave® Core provides exceptional strength to resist cracking. Accentuate the natural beauty of your newly installed architectural shingle roof (or even add dimension and depth to a strip shingle roof). Offer multi-layer protection at the highest-stress areas of your roof (the hips and ridges). 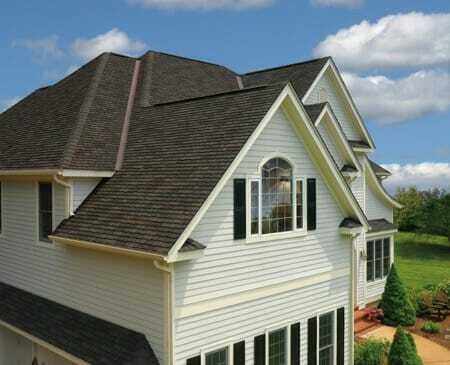 Provide a striking and higher quality alternative to using cut-up strip shingles as your ridge cap. Dramatic Look: Extra-thick design with massive 8″ exposure is up to 195% thicker than strip shingles, for a distinct finishing touch. The Right Colors: Unlike cut-up strip shingles, Timbertex® is factory-designed to complement the color of your GAF laminated shingles. Stays In Place: Dura Grip™ Self-seal Adhesive seals each piece tightly and helps reduce the risk of blow-off. StainGuard® Ltd. Warranty: Helps assure the beauty of your ridge cap shingles against unsightly blue-green algae.